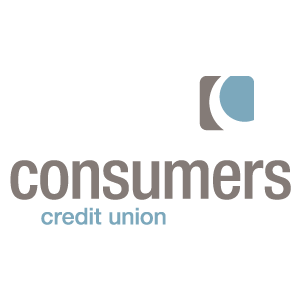 Lace up your purple shoelaces and join our Consumers family on April 27 at the Mary Free Bed YMCA for the Consumers Credit Union Purple Community 5K! One hundred percent of the funds we raise will go directly to research – not only for cancer, but for Parkinson’s, Alzheimer’s and other neurodegenerative diseases. All the purples. Please join us on April 27. Wear purple. Honor loved ones. Raise funds to help find better treatments and therapies for patients dealing with cancer and neurodegenerative diseases. Run or walk a 5-kilometer route with our family and team members. Purple Community, Van Andel Institute’s grassroots fundraising and awareness program, connects individuals, schools, teams and businesses to the resources needed to support groundbreaking cancer and Parkinson’s disease research. Since the program began in 2009, Purple Community events have raised over $3.2 million for Van Andel Institute. Purple Community events bring people from every walk of life together to celebrate the power of family, friendship and community action. They also give people the chance to honor those fighting disease and pay tribute to those who have lost their fight against cancer and Parkinson’s. Every event is a collection of stories — people coming together to support one another and help make the world a better, healthier place.